Sophia “Judy” Gordon nee Kurdes. Age 103 of Bedford, Ohio and Auburn Township, Ohio passed away August 3, 2017. She was born December 24, 1913 in Newark, New Jersey and was the wife of the late Emerick Paul Gordon. 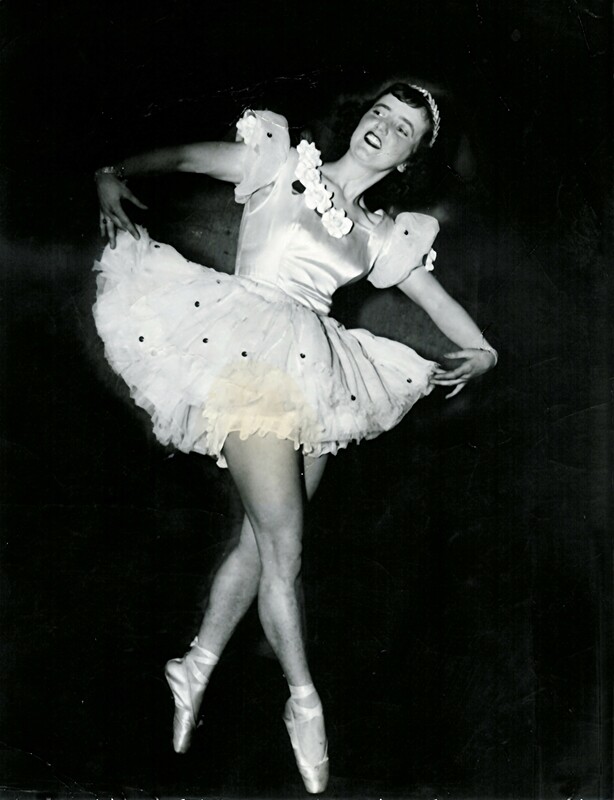 Judy always loved to dance and began her lessons at the Lippel School of Dance in Newark , New Jersey. She performed in a dance act with Louis Berkoff and his 2 sisters, Frieda and Gertrude and travelled the Keith circuit. She was a member of the Montclaire Opera Company formed by the W.P.A. where she started out as a switchboard operator and was responsible for arranging music sheets for the orchestra, including dancing as a ballerina. She also worked for Pure Carbonic. After marriage she gave up the dance to become a mother to four children. She worked part time for J.C.Penney for over 30 years. She is survived by daughters Cheryl Stoff (Donald), Cynthia Berridge (Lawrence), Lisa Gordon (Robert Atkins) and one son, Emerick (Teri Sexton Gordon), 8 grandchildren: Barbara and Deborah Stoff (Andrew Tavernia), Elliott and Julian Keith, Jessie, Tab, Race, and Roxanne Gordon, and 2 great grandchildren: Madeline and Mackenzie and a multitude of nieces and nephews. She is preceded in death by her husband, Emerick Paul Gordon and her parents, Karol “Charles” Kudas/Kurdes and her mother, Marianna Oles Kudas/Kurdes. She was the youngest of the seven siblings: Helen, Estelle, Anthony, Thaddeus, Mathew and baby Stefania. Cremation has taken place and burial of the co-mingling of her husband’s and her ashes as per her request was private.